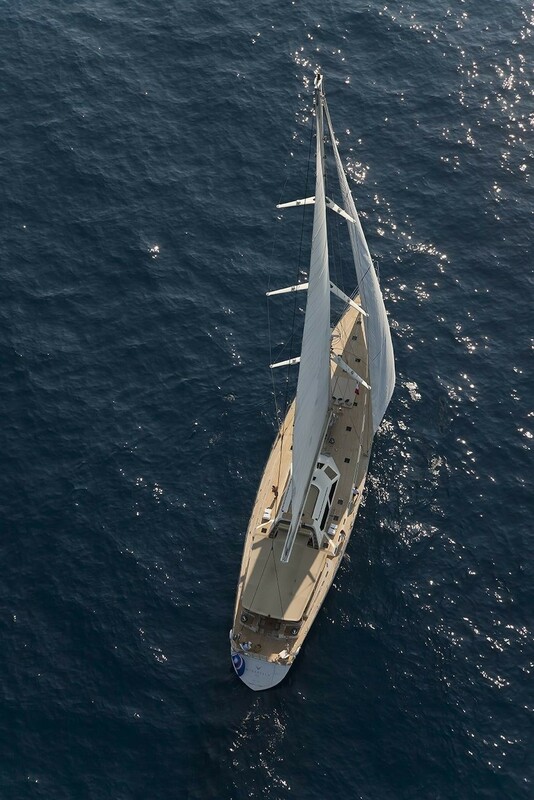 Superyacht Mirabella III is a 41,40m (135' 9") sailing yacht built by Concorde Yachts in 1994. 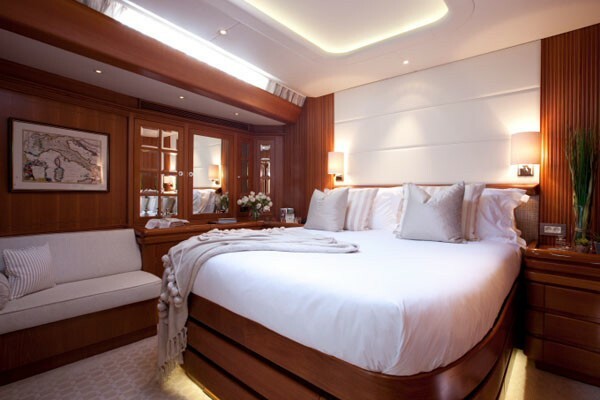 She is one of the World’s most renowned luxury charter yachts and has just received a multimillion-dollar refit geared toward environmental friendliness. 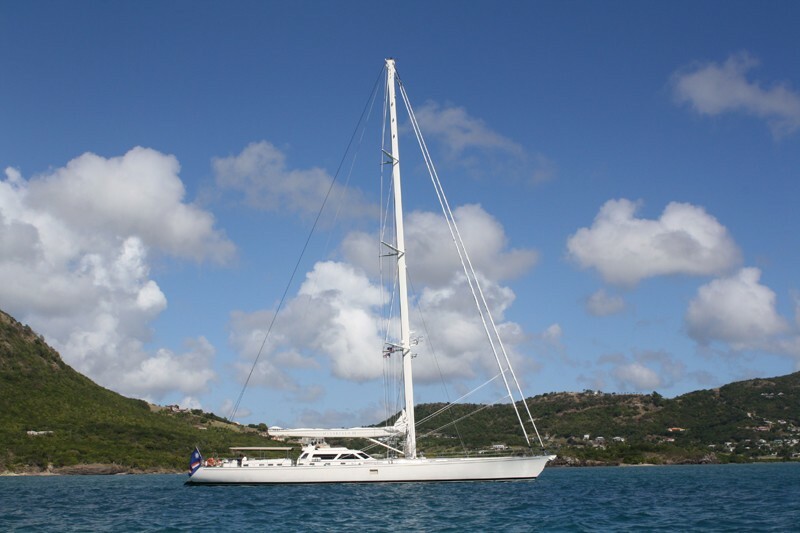 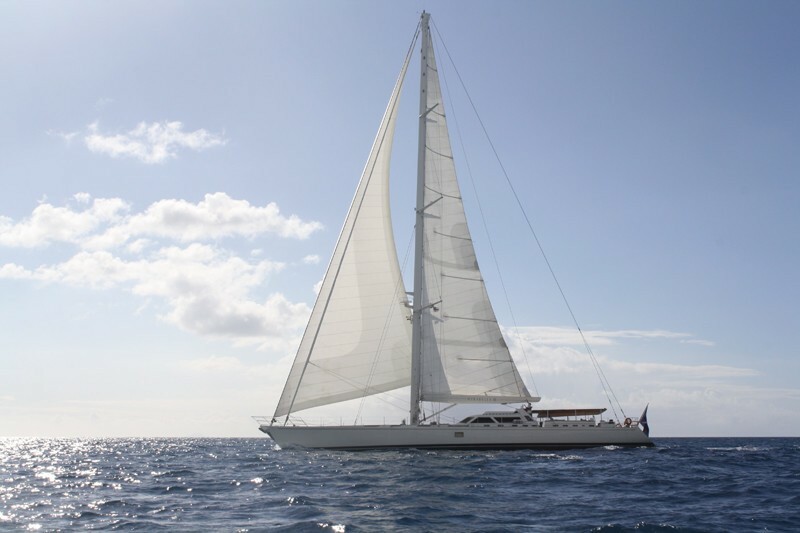 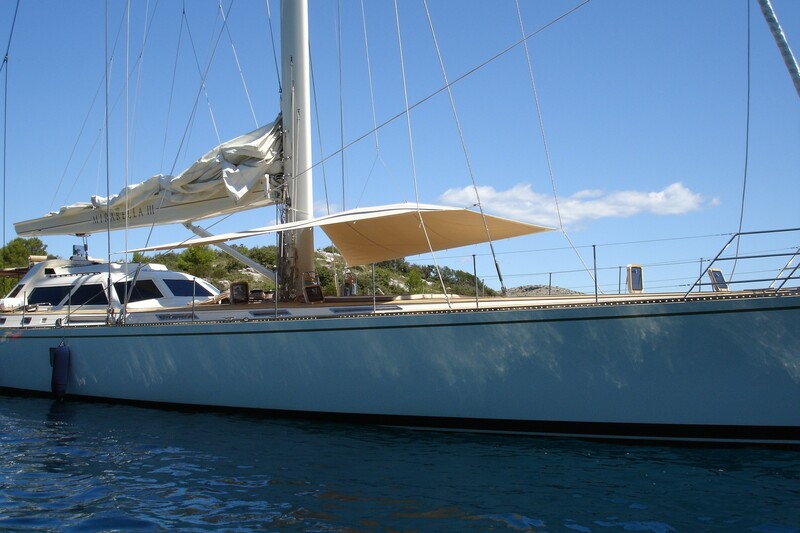 Sailing yacht Mirabella III was designed by Bruce Farr and can accommodate ten guests, with a professional crew of 7. 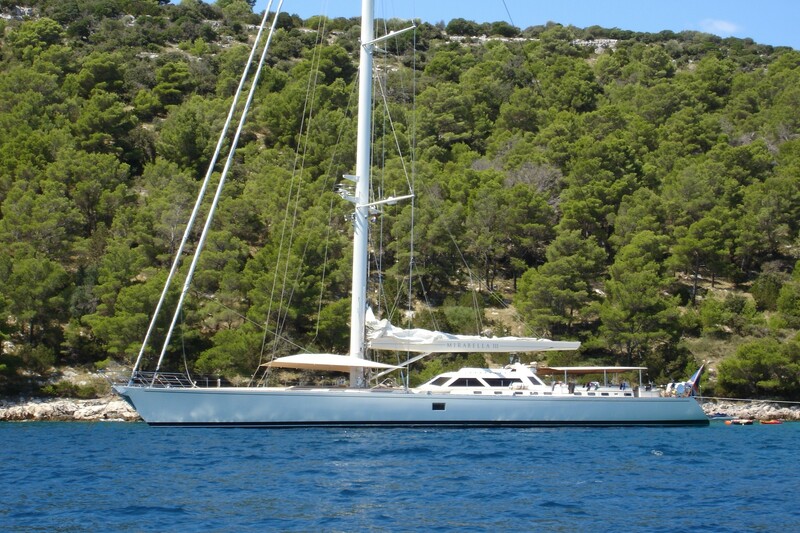 Sailing yacht MIRABELLA III is a member of the Mirabella fleet of charter yachts. 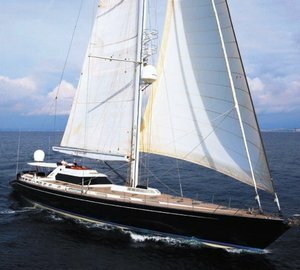 She was built in Thailand by Concorde Yachts in 1994 and was launched using the assistance of elephants to transport the yacht from the building shed to the water. 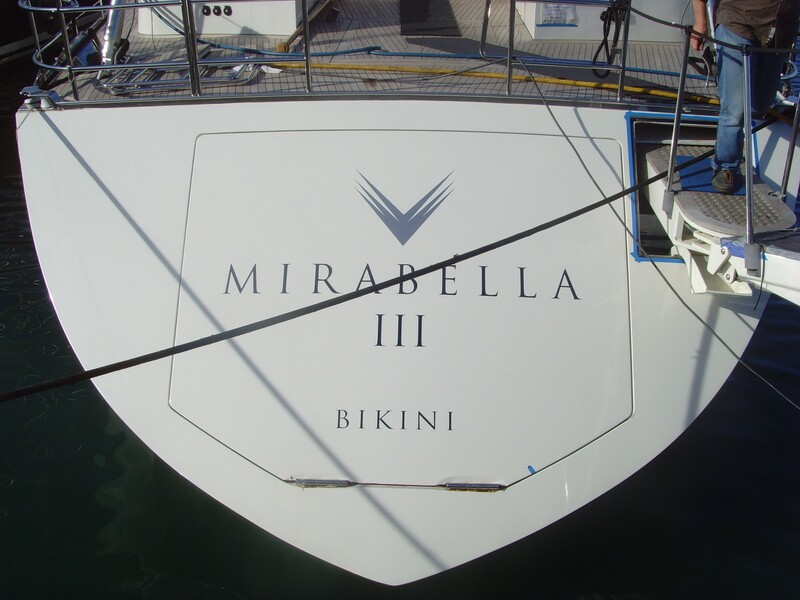 During her refit by Master Yachts which was completed in 2010, S/Y Mirabella III was fully refitted with state of the art mechanical, electronic, entertainment and safety systems. 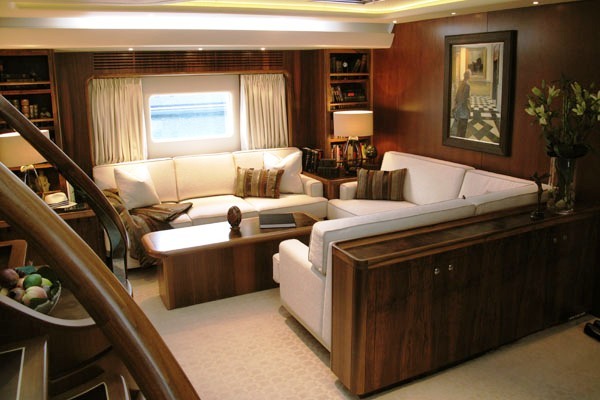 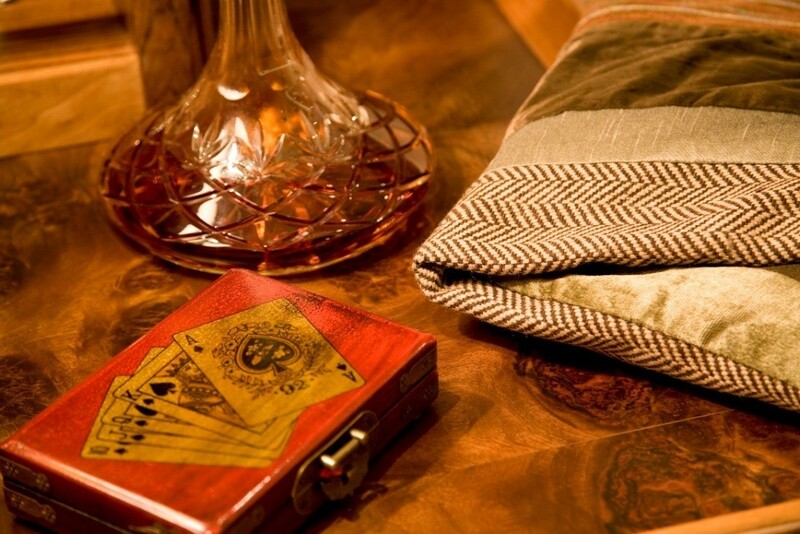 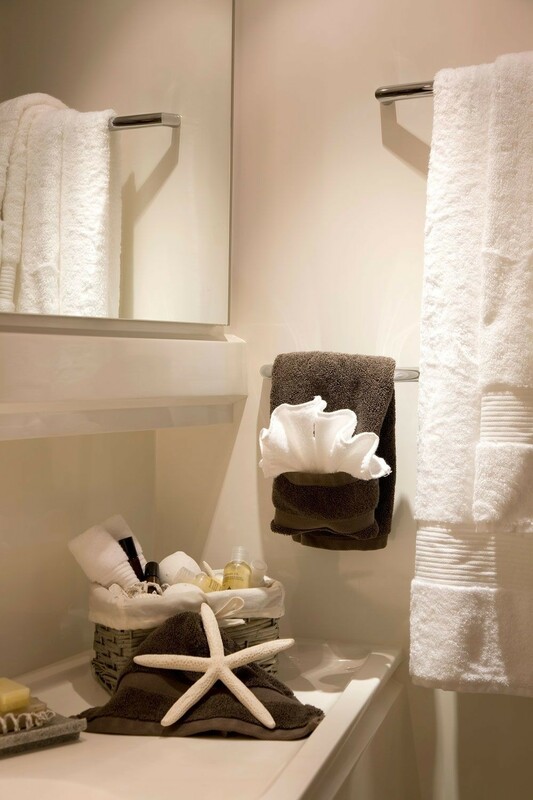 Her beautifully redesigned interior features warm tones and elegant furnishings creating a tranquil retreat. 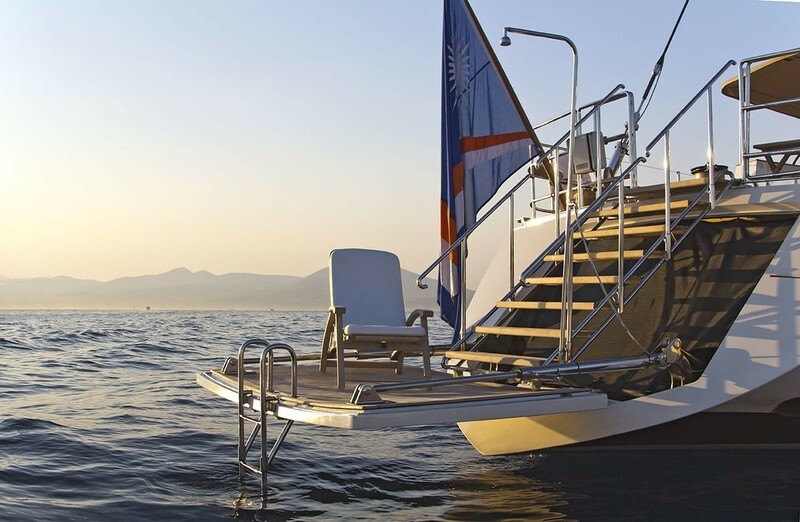 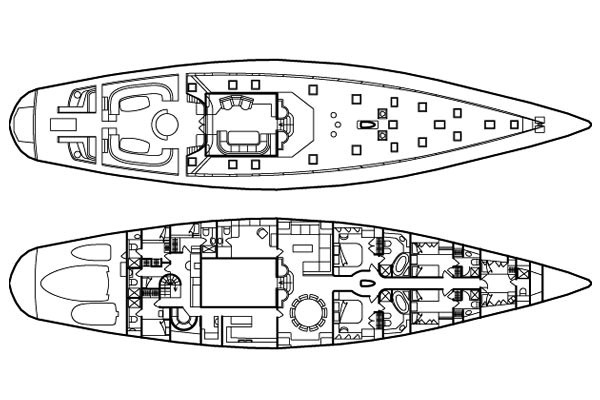 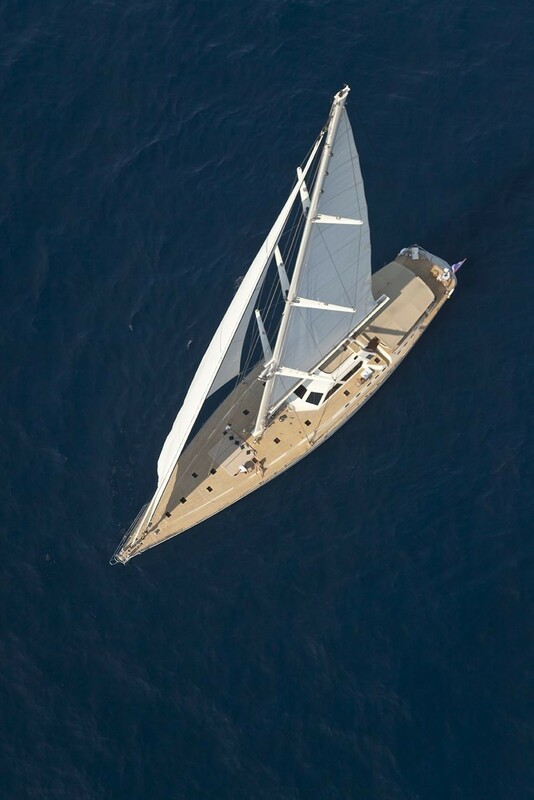 Sailing yacht MIRABELLA III also received new decks and a new swim platform as well as a floating golf green. 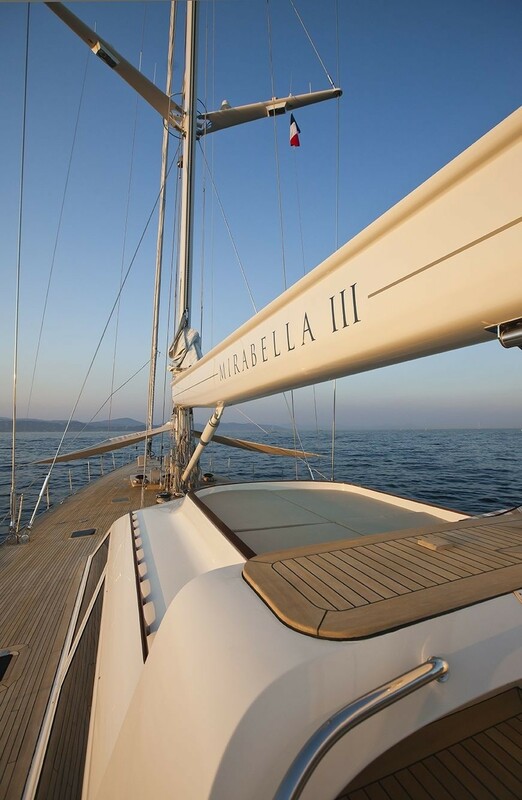 Luxury yacht MIRABELLA III will now carry only “the greenest and highest-quality fuels for propulsion and generators.” A system has been installed that processes gray water before returning it to the sea in bio-friendly condition, special containers have been installed to carry wastes and toxins that need proper disposal elsewhere, and the yacht has been stocked with biodegradable golf balls that become fish food after you spend an afternoon practicing your drives off the aft deck toward the floating green. 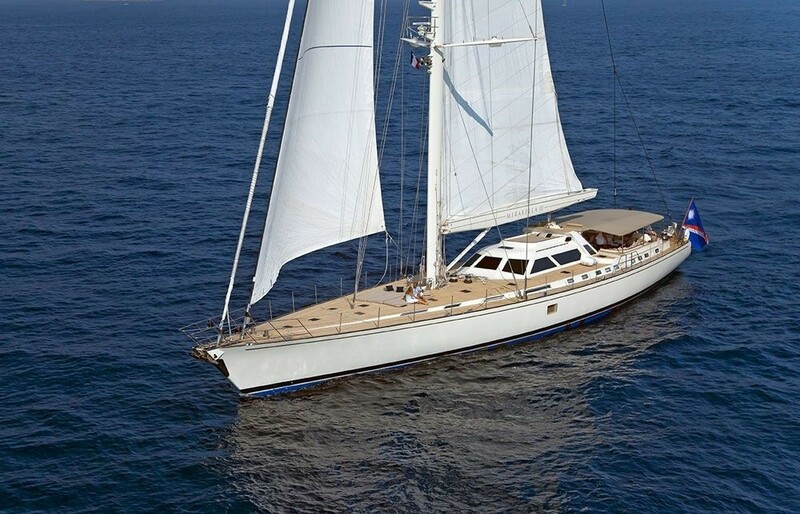 MIRABELLA III is equipped with Lugger L6140 engine, which allows her to reach a top speed of 12 knots. 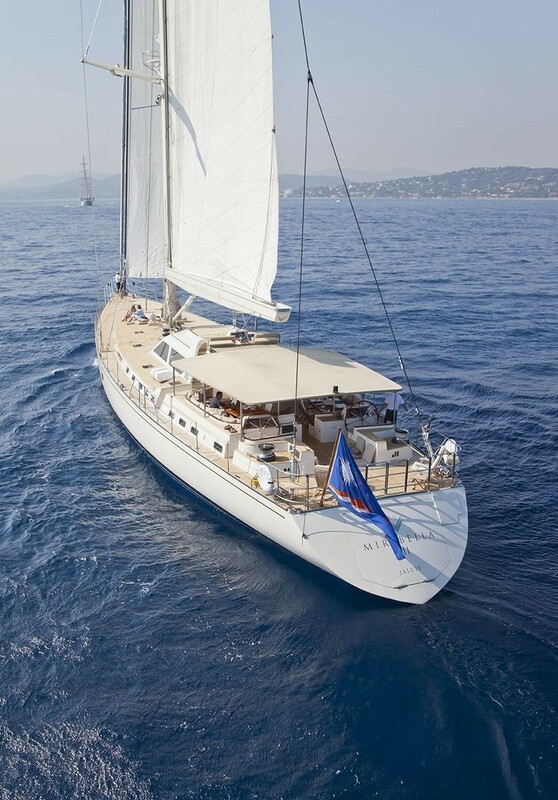 Luxury sailing yacht Mirabella III is able to accommodate up to 10 guests in 5 cabins including a Master cabin and a VIP cabin each with double beds, two convertible cabins that can either have a King or twin bed configuration and one twin cabin. 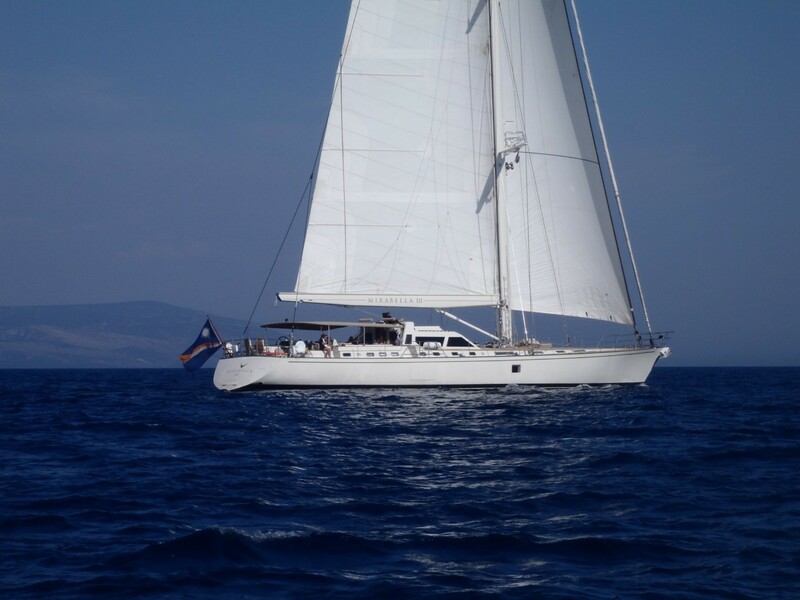 Sailing Yacht Mirabella III has a fantastic range of extras onboard including a 5.3 Custom tender with Yanmar engine, a 4.3 Novurania RIB with 50hp Honda four stroke, a Yamaha 750cc Waverunner, 2 Laser sailing dinghies, a Windsurfer Mistral, Water-skis, a mono ski, a 2 man doughnut, a 1 person doughnut, a 5 man Banana, a Wakeboard, a Bongo Trampoline, a Kneeboard, an Ocean Kayak, Snorkel Equipment, a Dive compressor and 6 sets equipment (for Rendez-vous diving only). 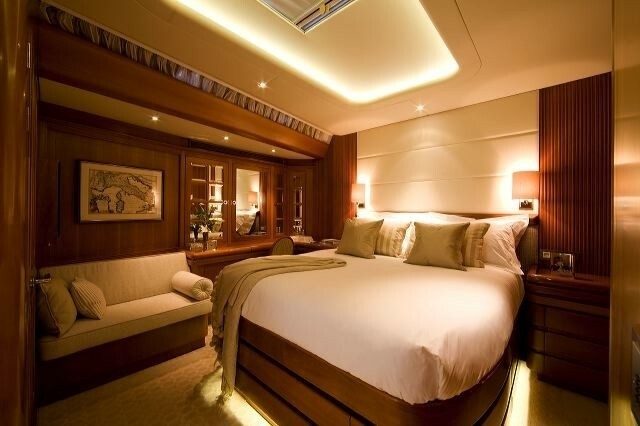 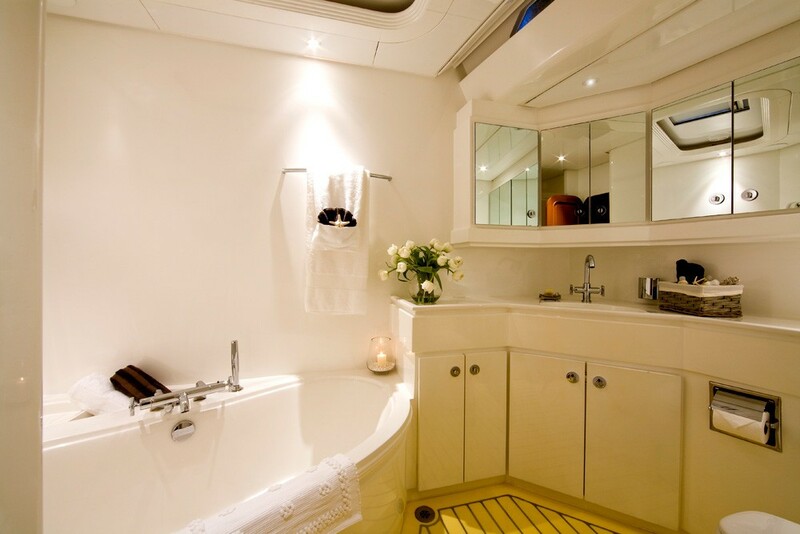 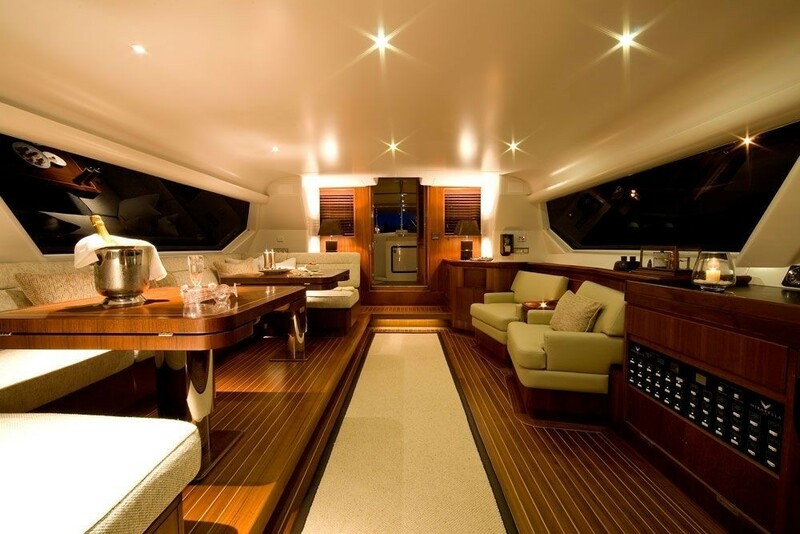 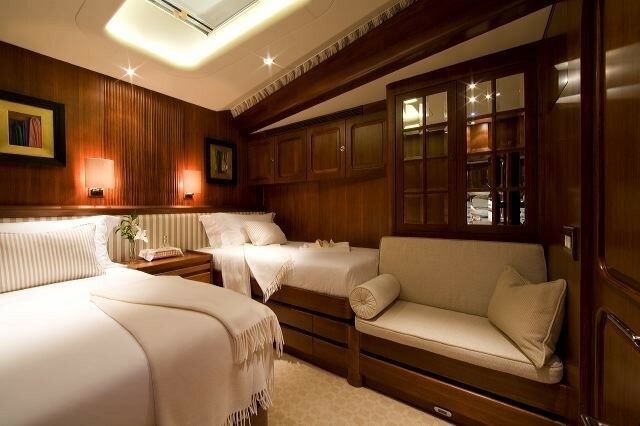 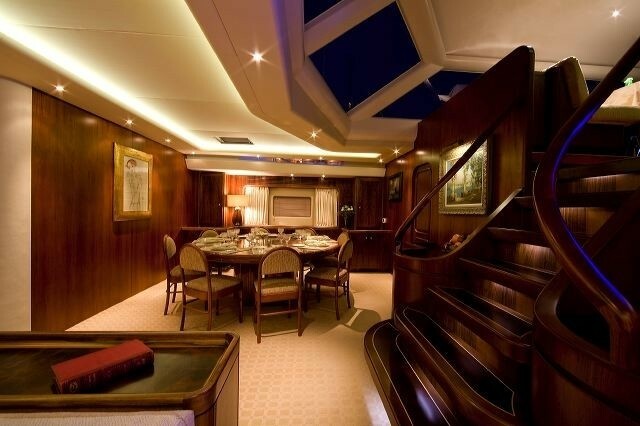 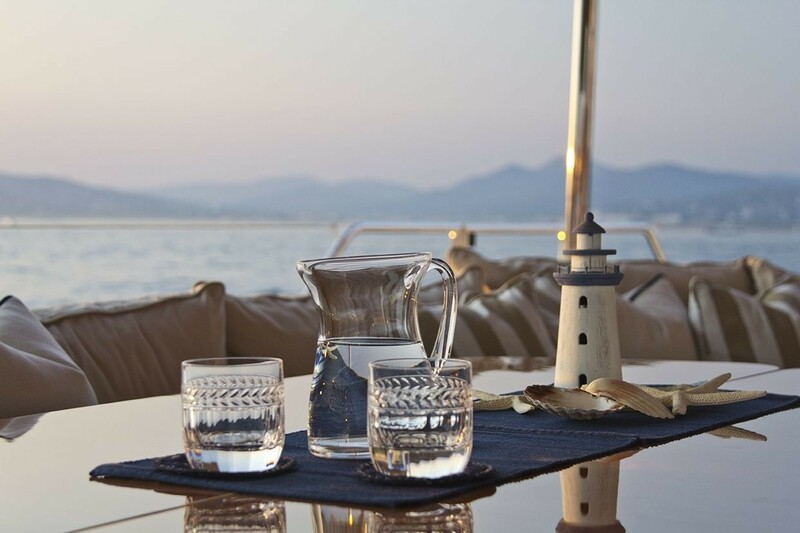 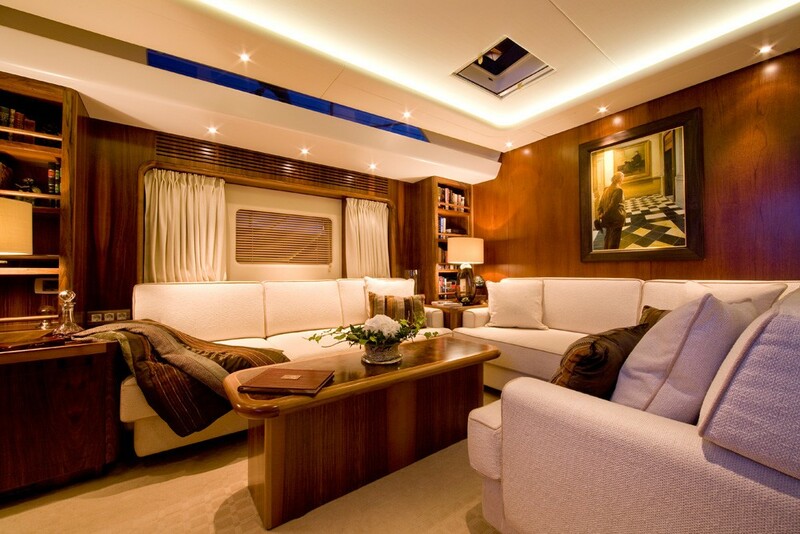 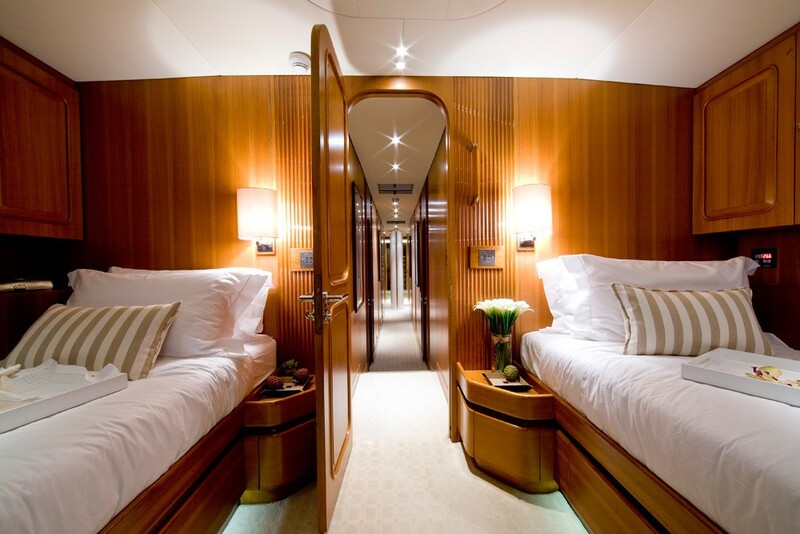 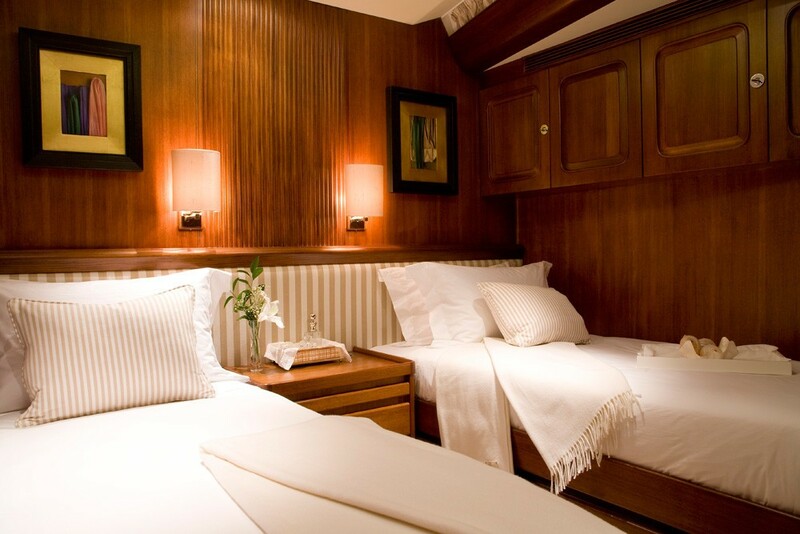 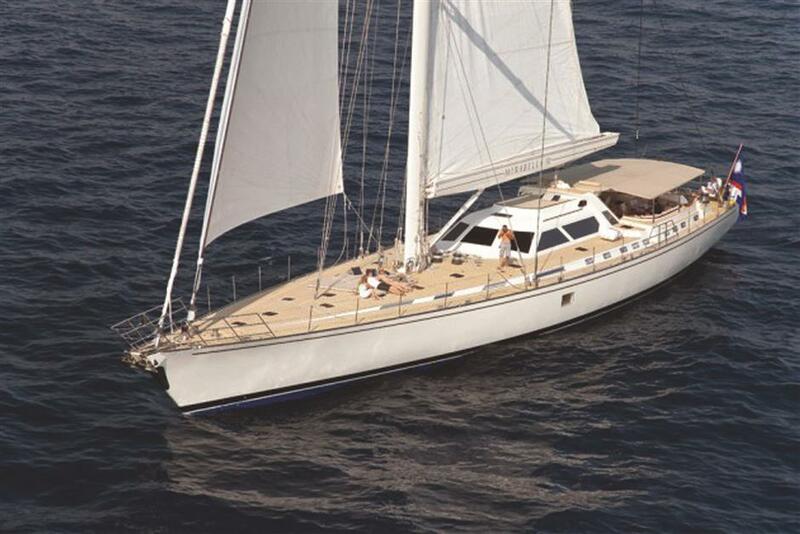 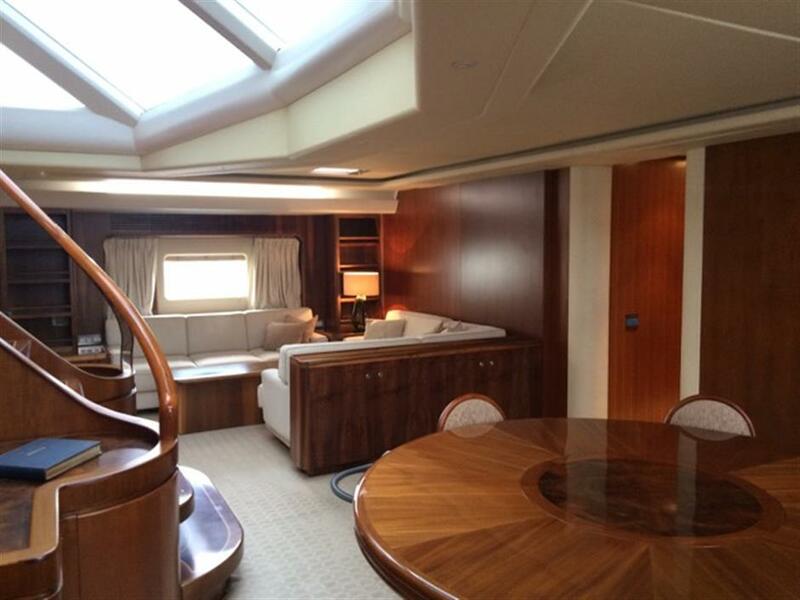 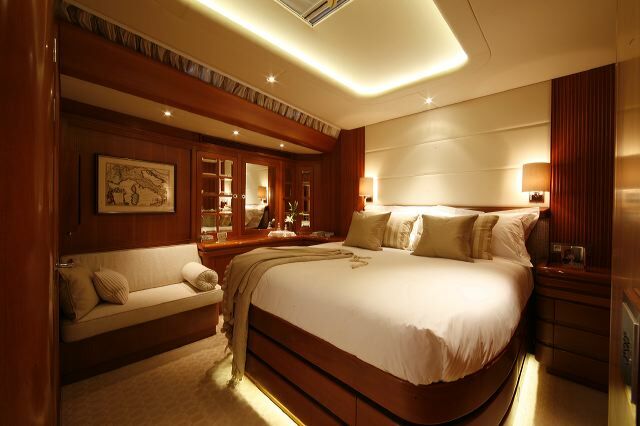 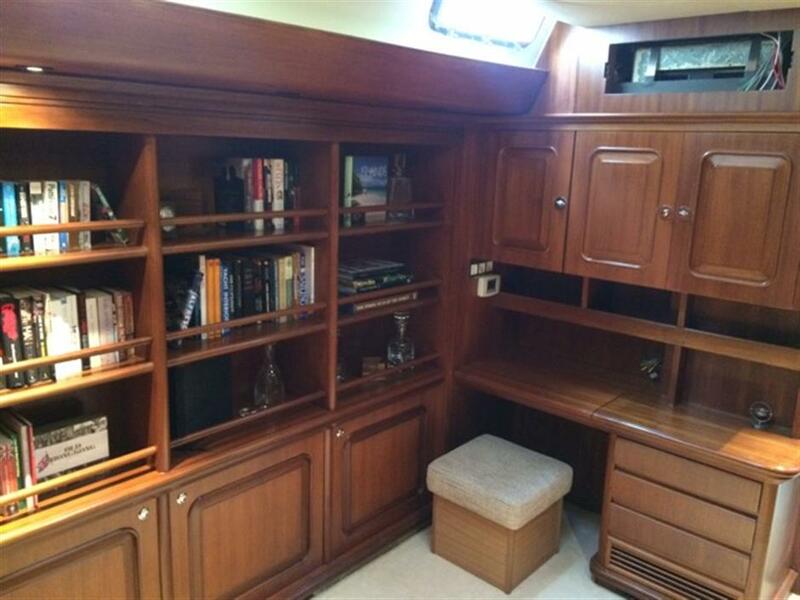 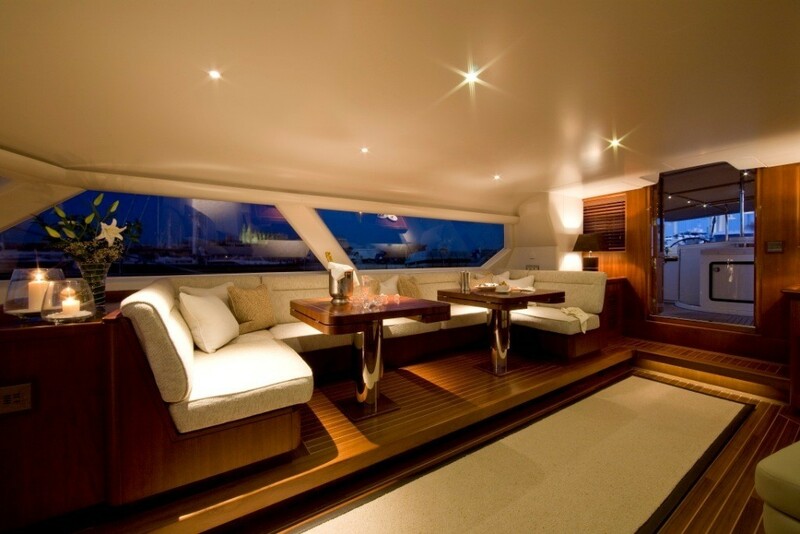 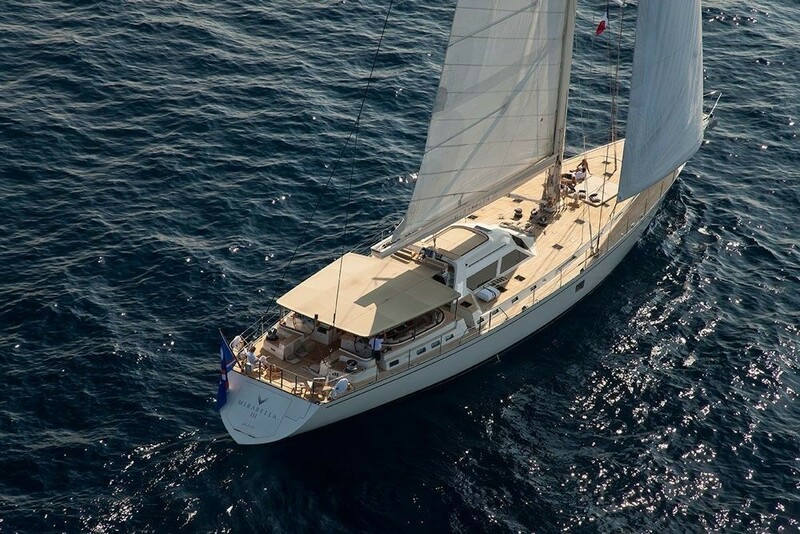 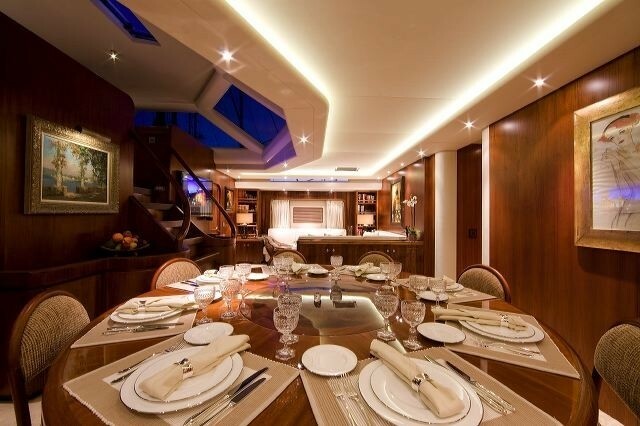 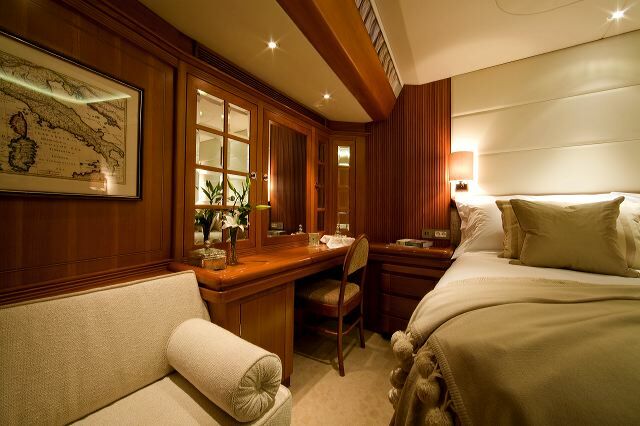 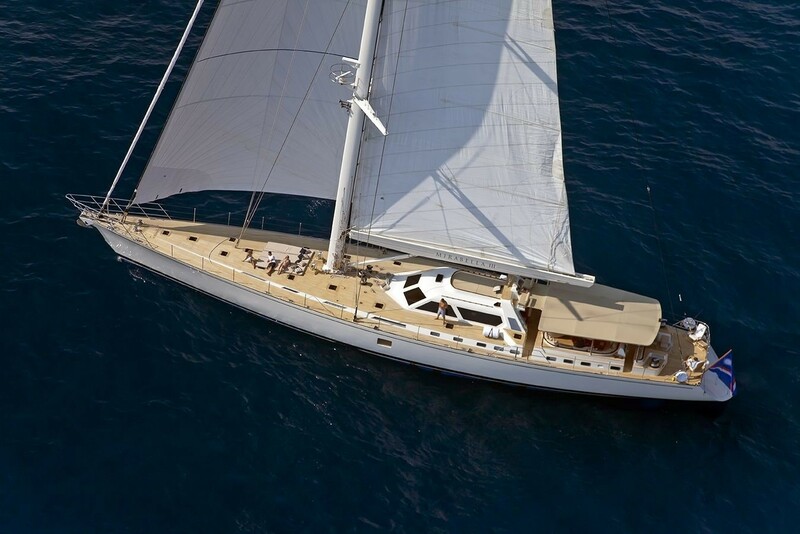 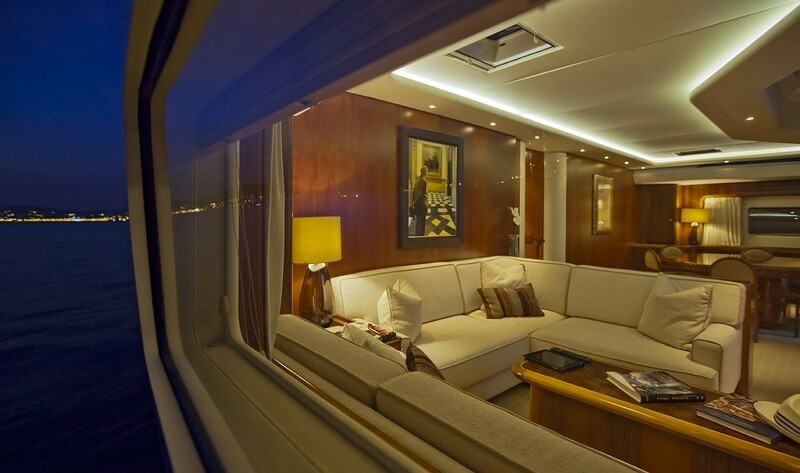 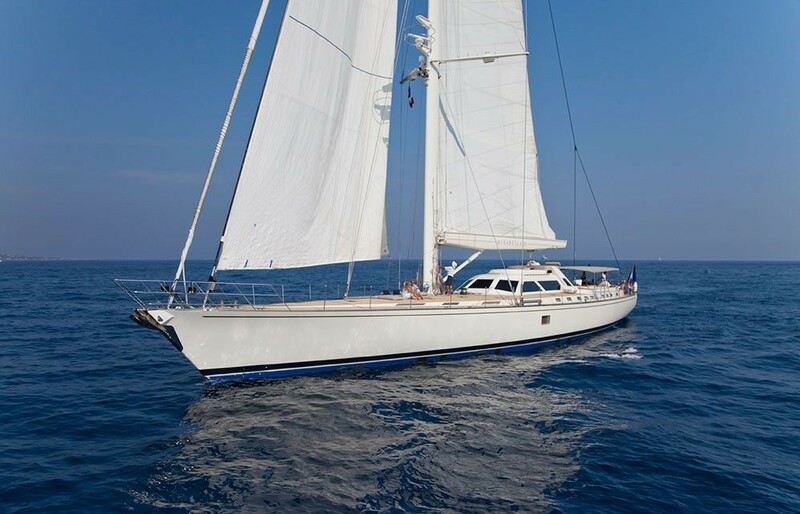 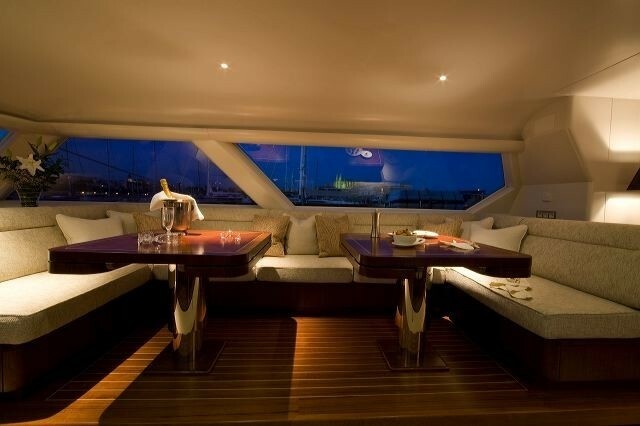 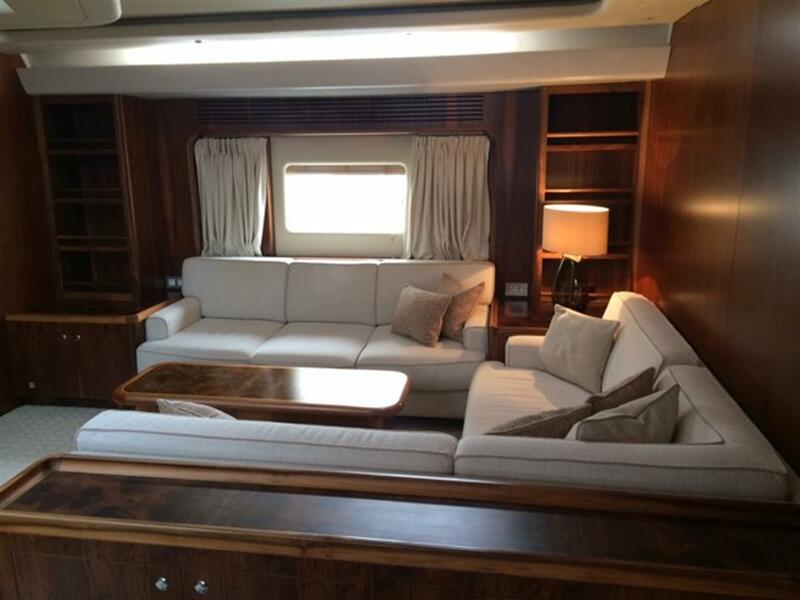 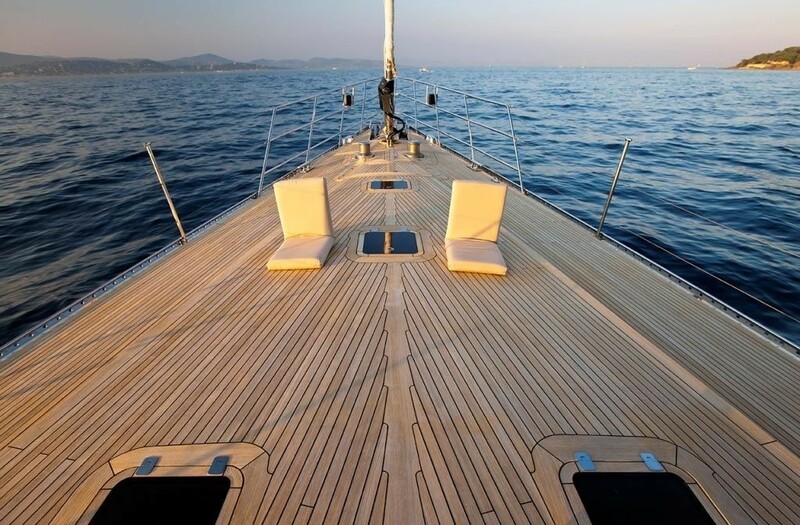 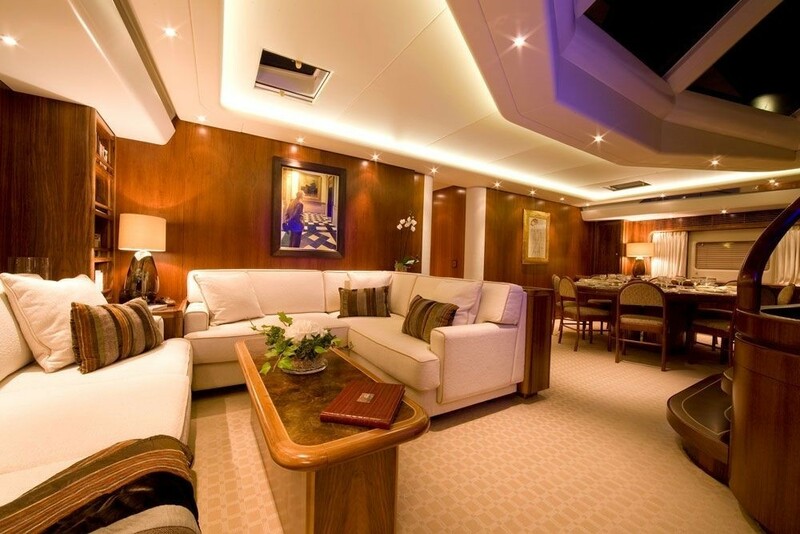 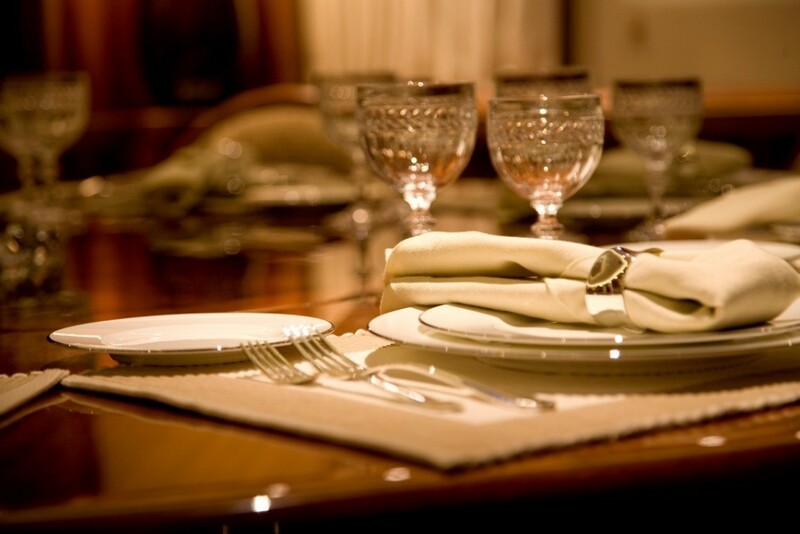 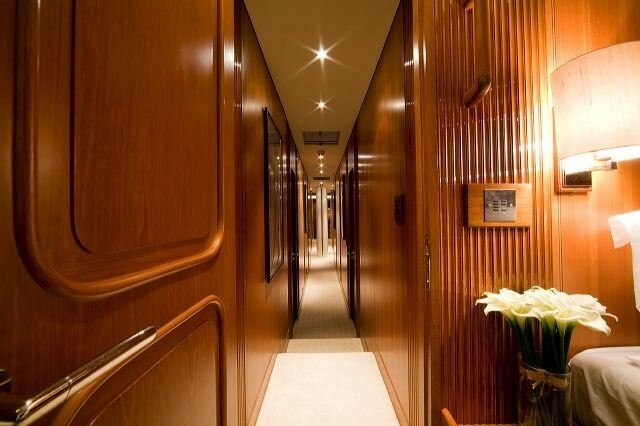 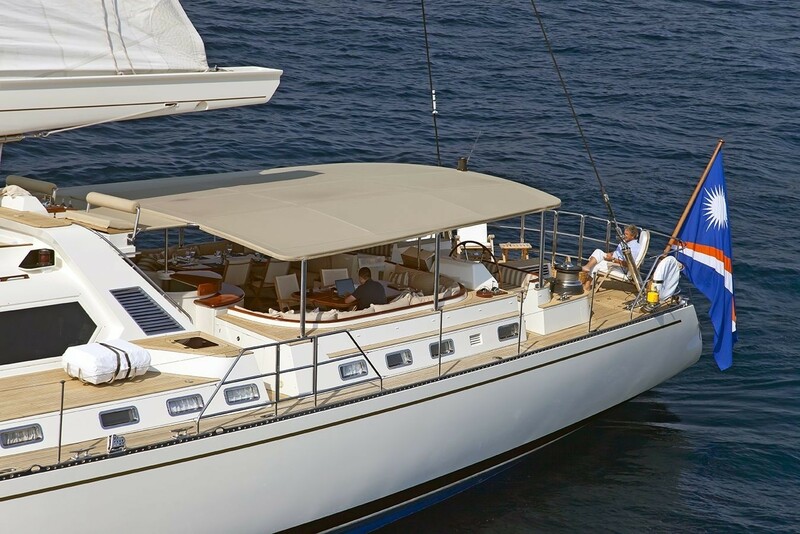 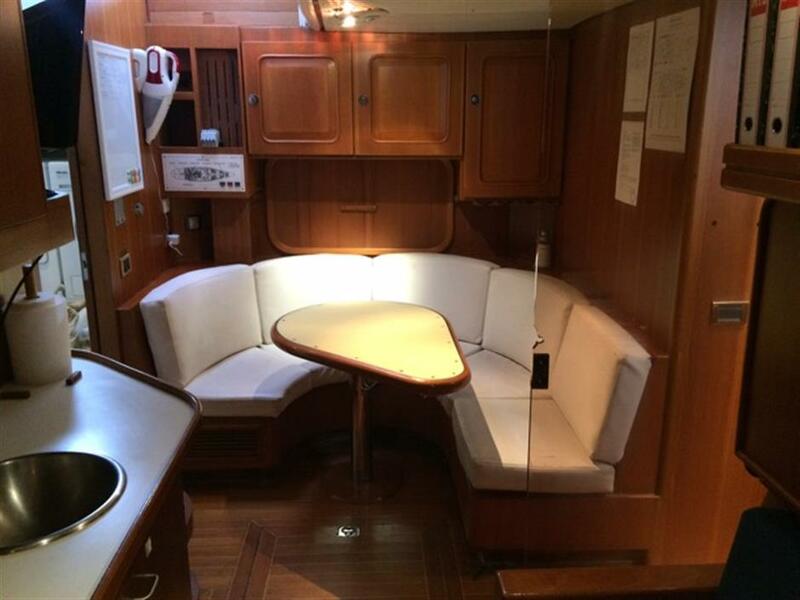 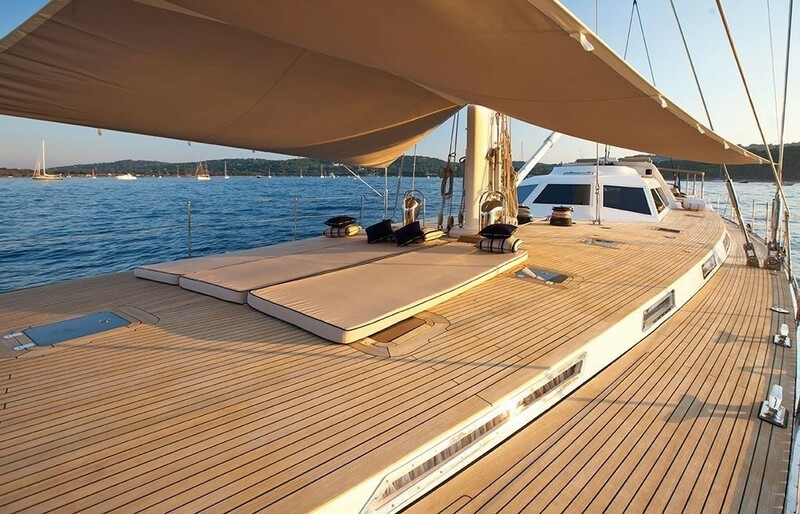 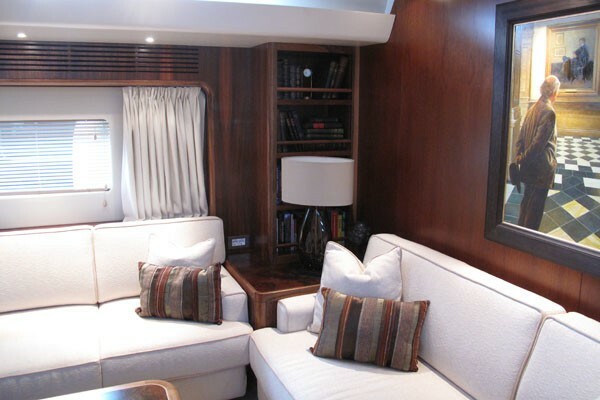 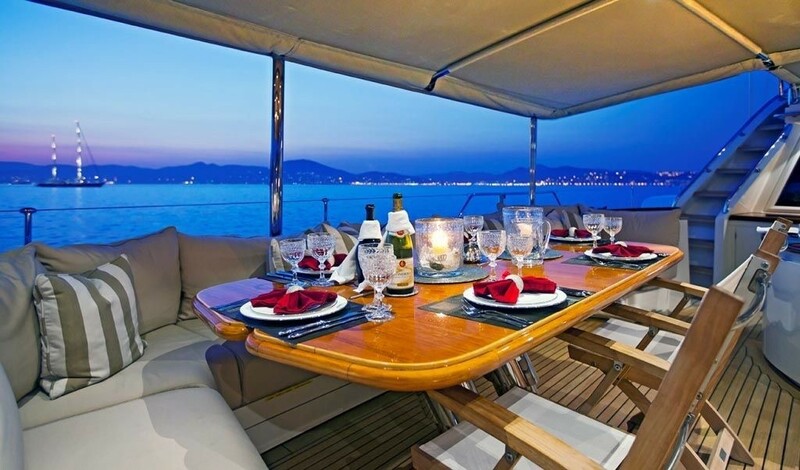 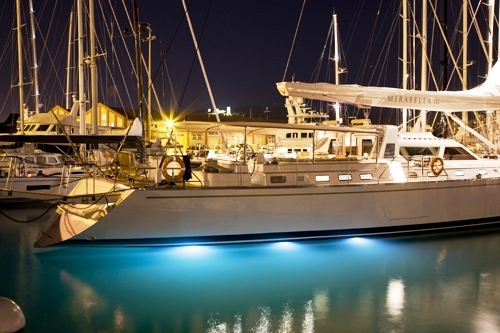 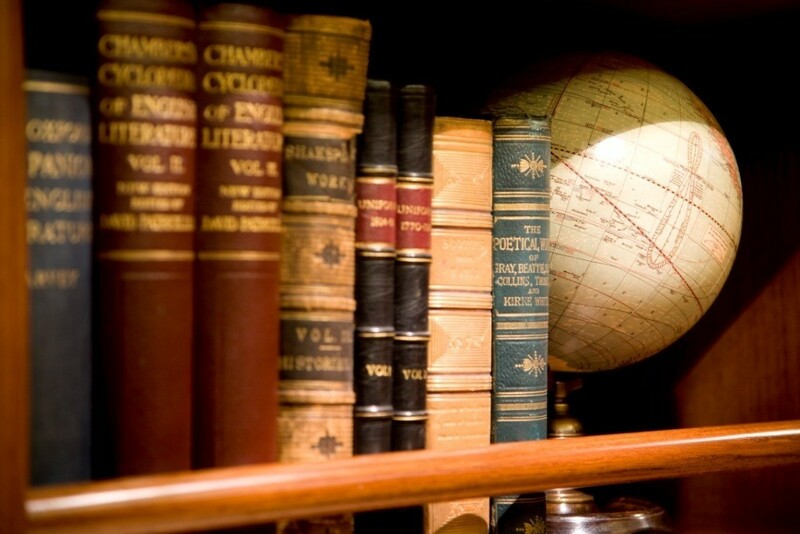 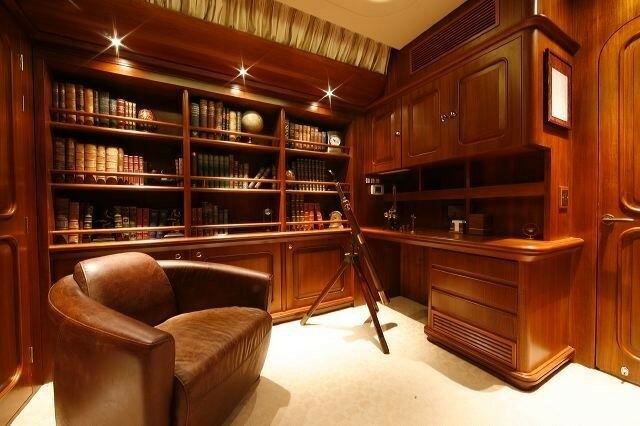 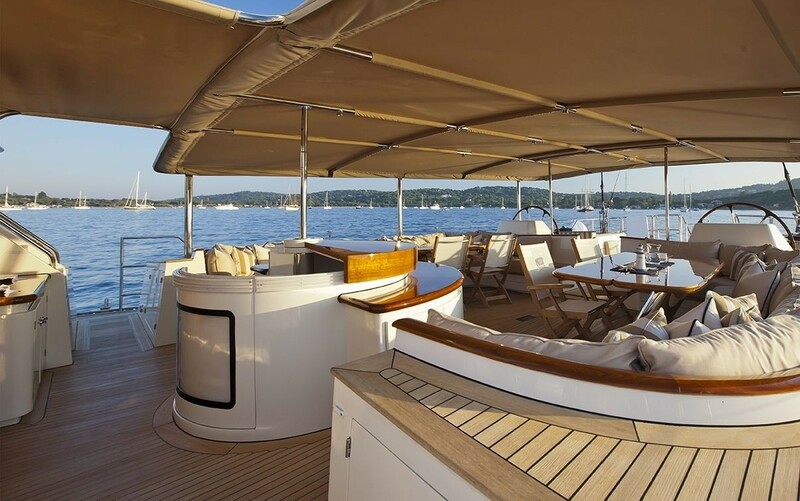 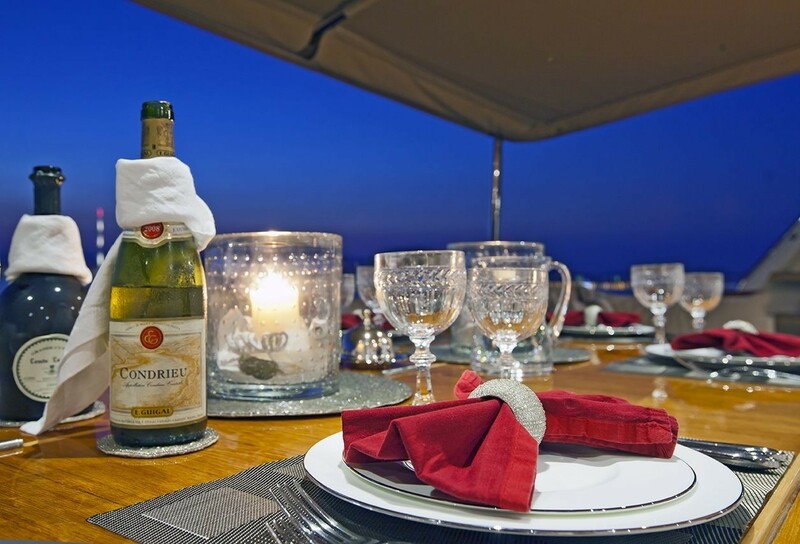 Communications onboard S/Y Mirabella III includes Satellite TV, Fax and E-mail, Wi-Fi throughout. 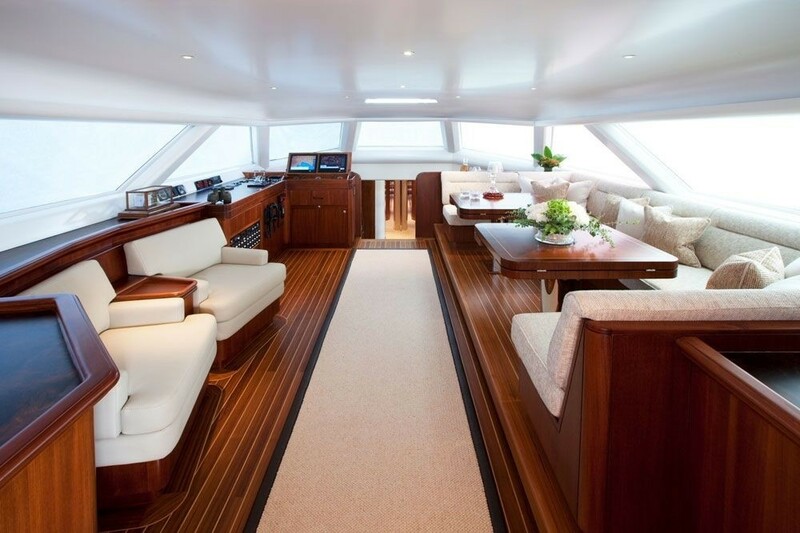 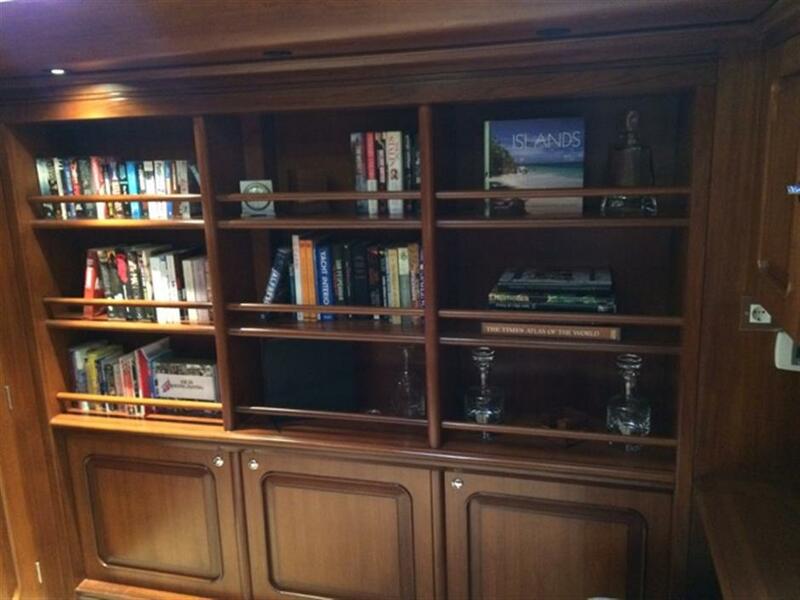 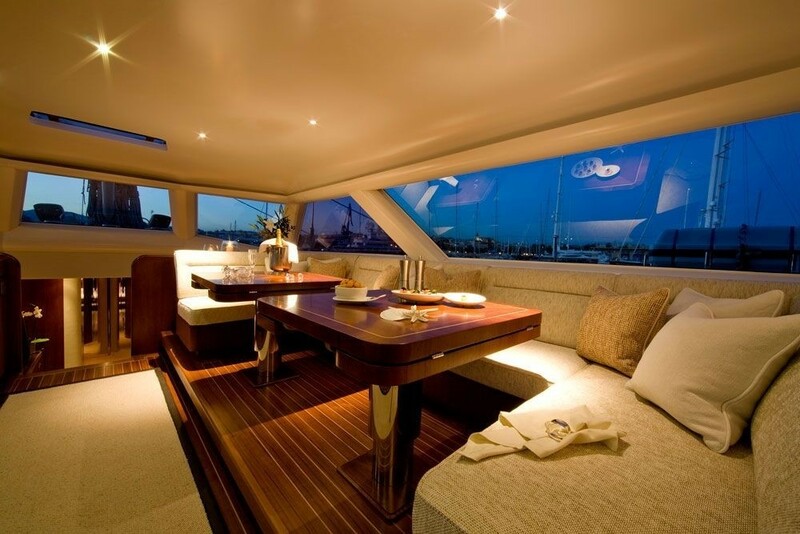 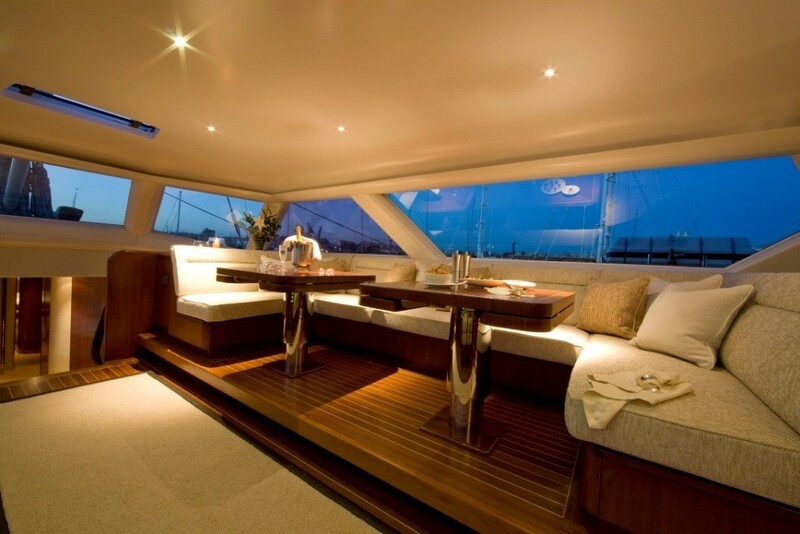 Audio Visual Equipment and Deck Facilities include Satellite TV.